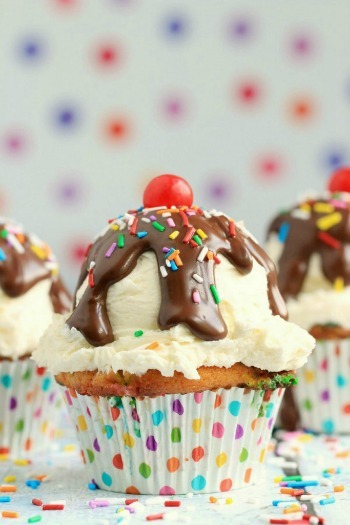 7 Fun Summer Activities for Kids #GloriousMesses - Frugal Mom Eh! Summer is here and summer break is upon us which means many parents are looking for ways to keep their children busy. I know very well the need to find new ways to keep children happy and entertained. 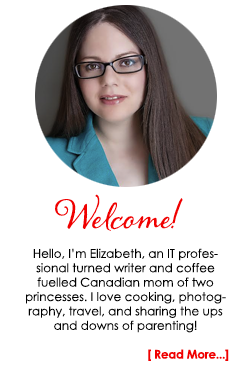 Since I am a work at home mom, I typically spend the morning hours working while the kids play together in the playroom. Sometimes there is TV involved when I really need to be able to concentrate. To make up for the morning though I dedicate my afternoons to getting creative with the girls. Sometimes we bake “together”, sometimes we just colour and other times we get super crafty and I pull out my bin of fun stuff which includes everything from pipe-cleaners to the dreaded glitter. Yes, keeping kids happy can be messy work. 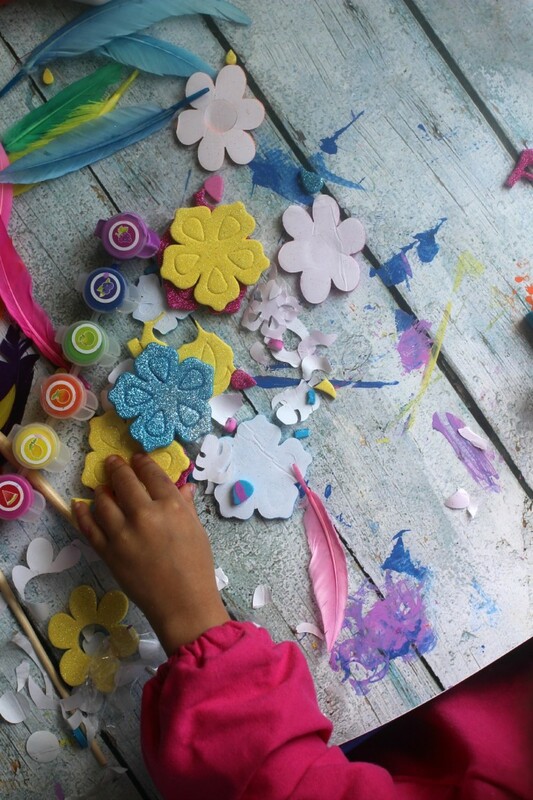 Don’t let the thought of the mess scare you though, you can feel free to tackle these super fun summer activities for kids thanks to Green Works. 1 birdhouse You can find wooden birdhouses at Dollarama to decorate. 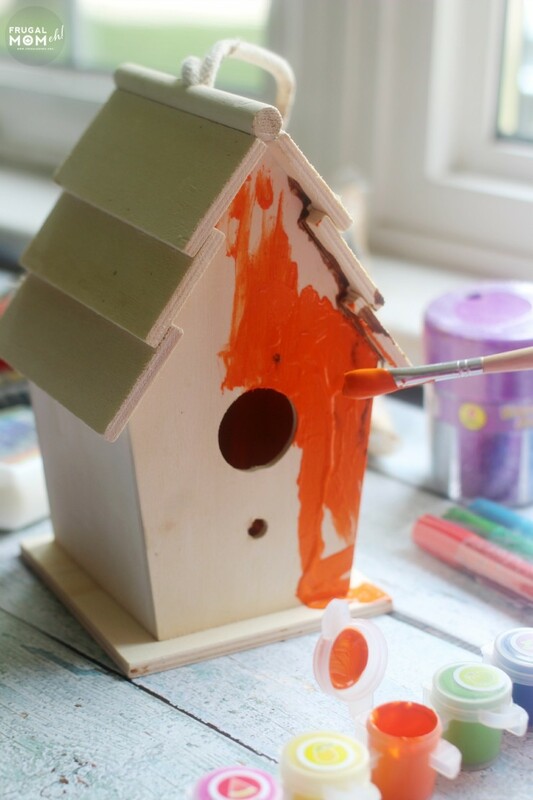 Start by getting your child to paint the birdhouse from top to bottom. The brighter the colours the better! 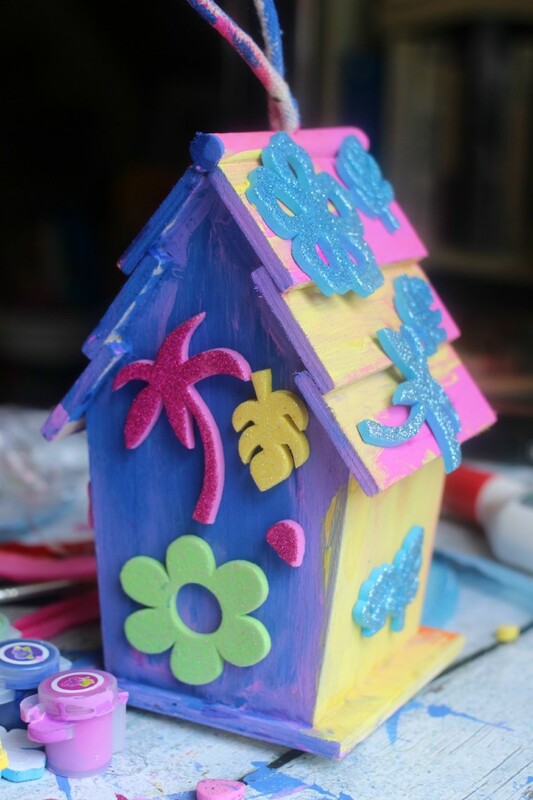 Next have them use the glitter, feathers and stickers to create a unique look for their birdhouse. 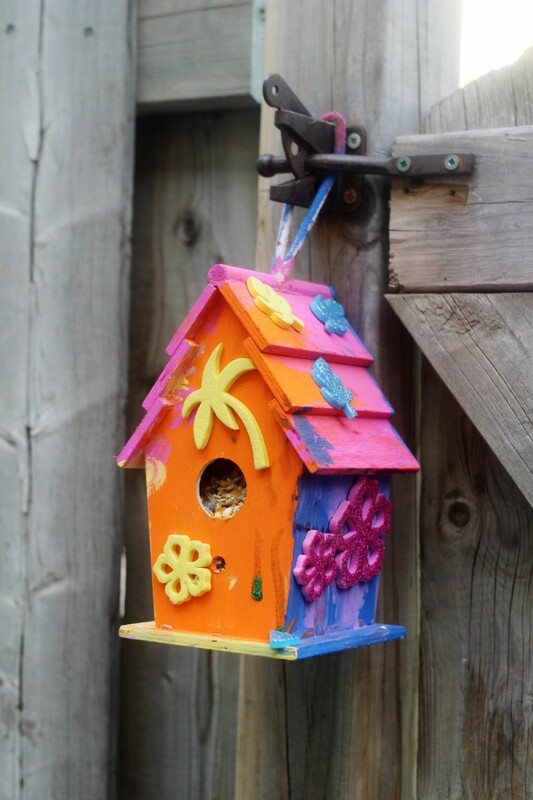 Once the paint is dry you can fill it with bird feed and use the fishing wire to hang it in your yard. 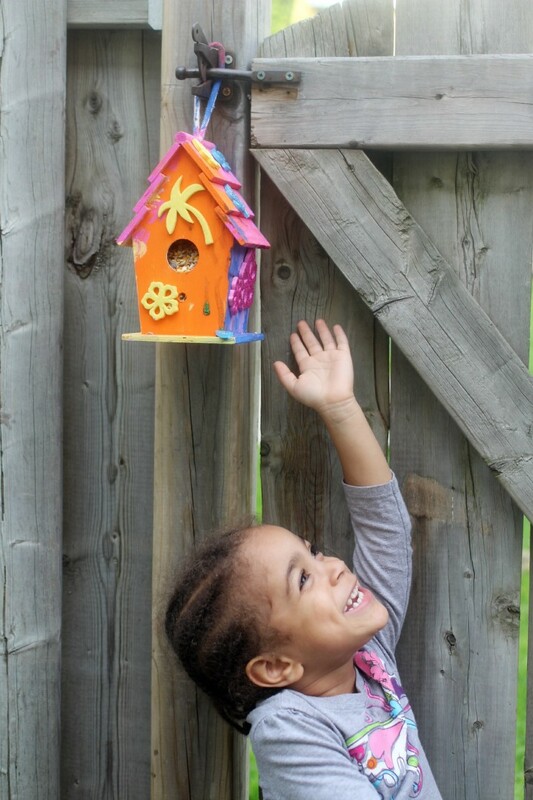 Keira loved the entire process of this easy craft and now enjoys looking out the kitchen window at her birdhouse. Build, decorate and fly a kit! Seriously the most fun you could have in the form of one small project. 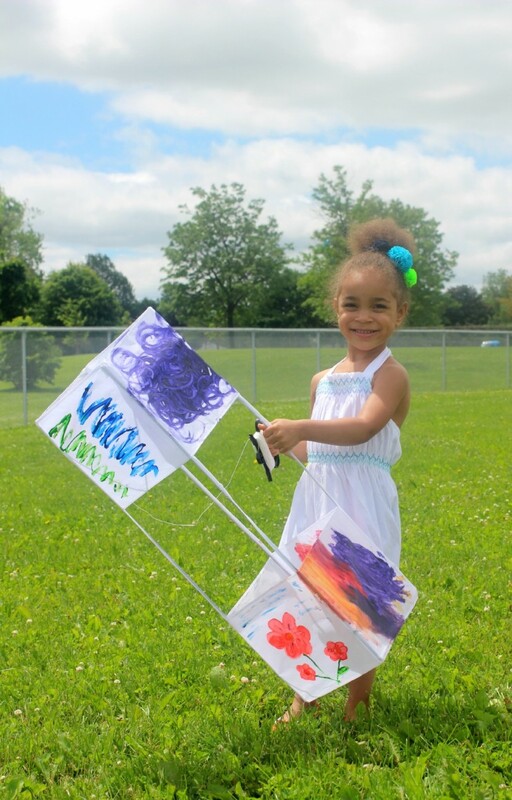 Decorate your kite with the fabric paint and glitter glue. Get creative with your design! Build your kite according to kit directions. Wait for a windy day and take your kite out for a flight! I’ve actually never flown a kite before so this was a first for both Keira and myself. 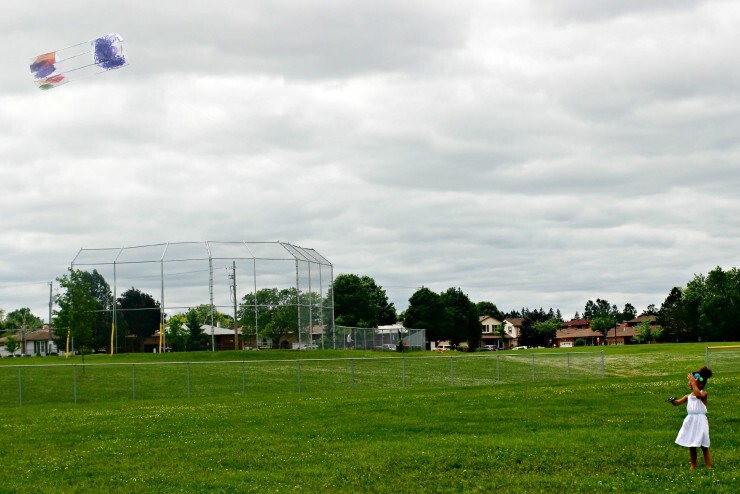 We actually had the opportunity to take the kite to the park yesterday since it was a perfectly windy day. I honestly have to say that I feel like I’ve been missing out on kite flying all these years. 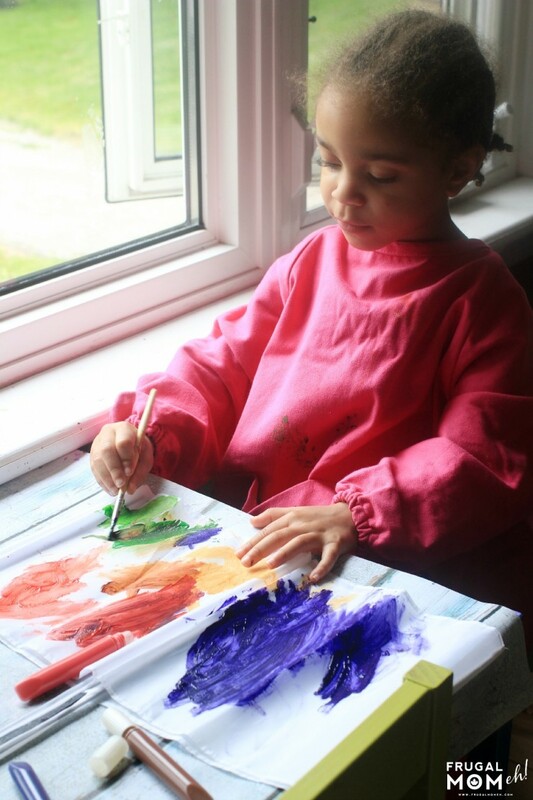 What an incredibly relaxing and fun activity – whether you are a child or just a child at heart. Make Ice Pops together and then enjoy them after playing out in the summer sun! 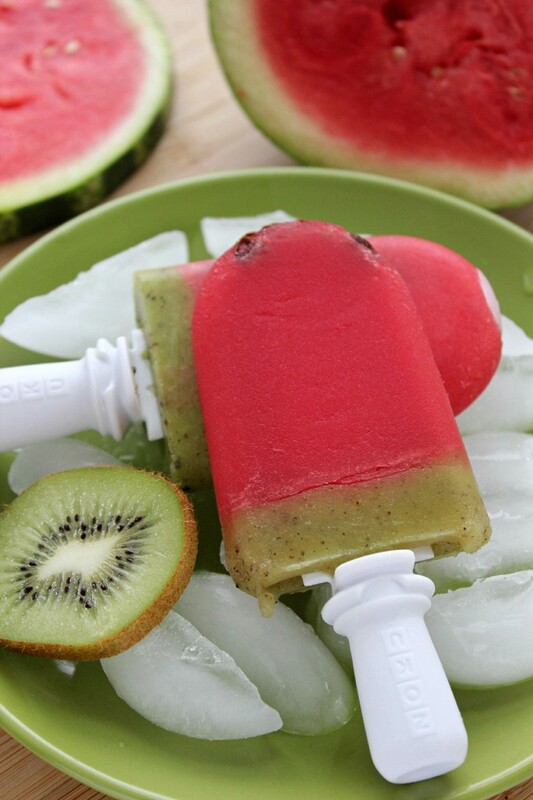 These Watermelon Kiwi Popsicles look as fun as they are to make and taste delicious too! Sometimes you just need a cool treat that ice pops won’t satisfy. 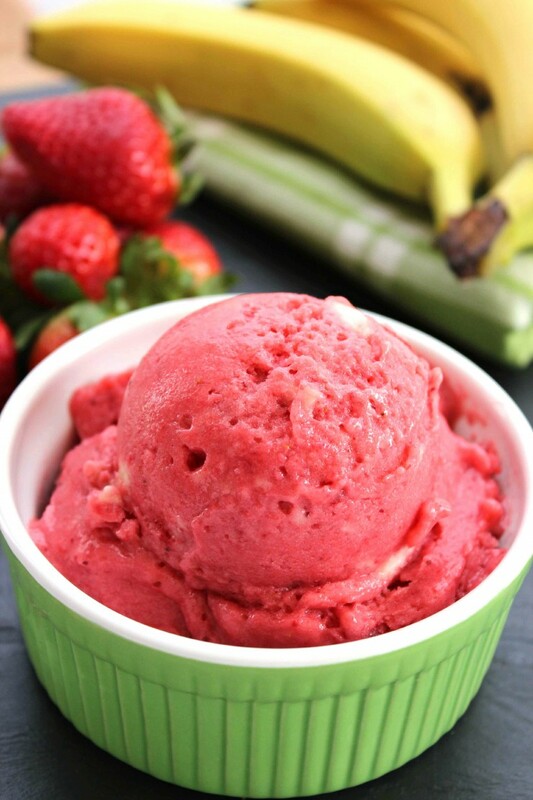 This Dairy-Free Strawberry Banana Ice Cream recipe is super healthy but tastes just like real ice cream, and it’s no churn so its fun to make together as a family. Fairy Gardens can range from the ultra detailed to just a simple craft like this fairy door. 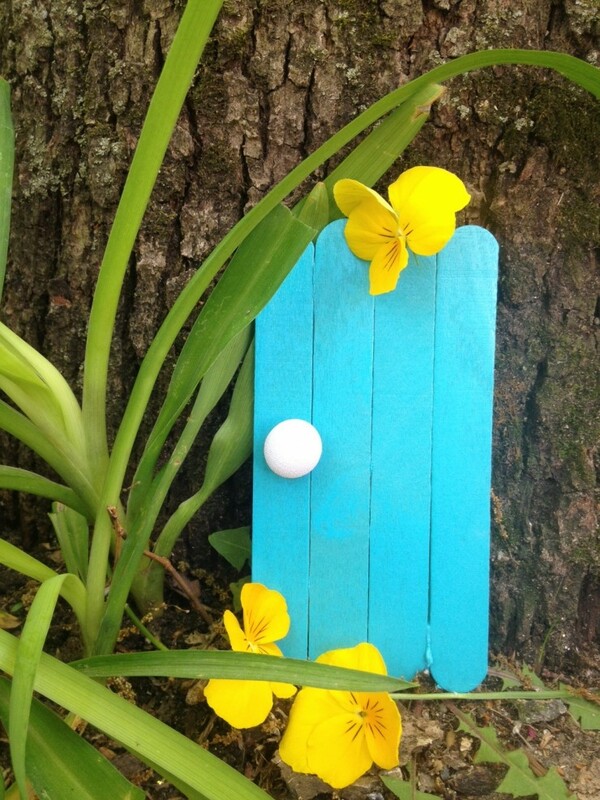 The fairy door is great for kids to make because its so simple but results in such cute garden decor. 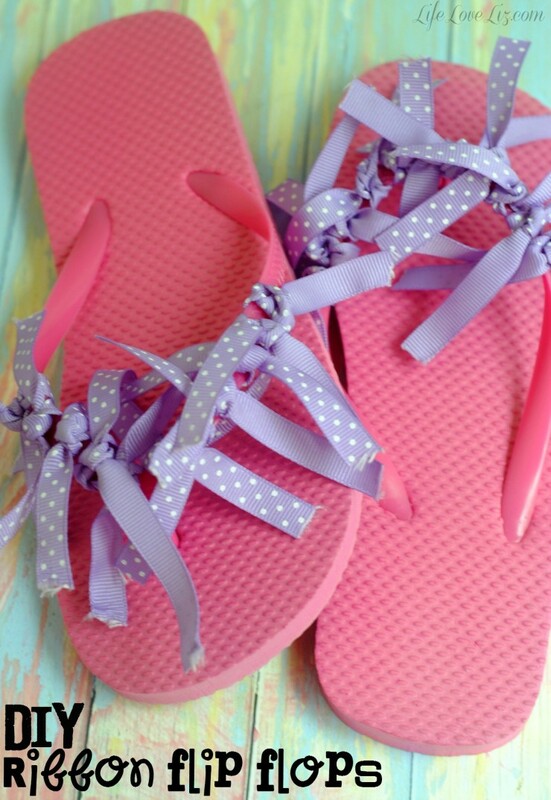 These Ribbon Flip Flops are another easy craft kids can do to liven up pairs of plain flip flops. 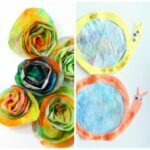 Fight the Summer Slide with fun educational crafts and activities for your little ones. 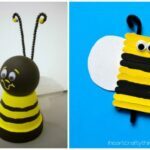 Check out these Bee Inspired Crafts and Kids Activities to get you started! Need to cool down? Then these summer water activities for kids should hit the spot! Clean up all that glitter and glue when the fun is over with Green Works Naturally-Derived All Purpose Cleaner, Green Works Naturally Derived Cleaning Wipes and Green Works Naturally Derived Glass & Surface Cleaner. I got them working for me after Keira was done and returned my living room from a glitter and paint covered disaster zone back into my clean glitter-free place of zen. 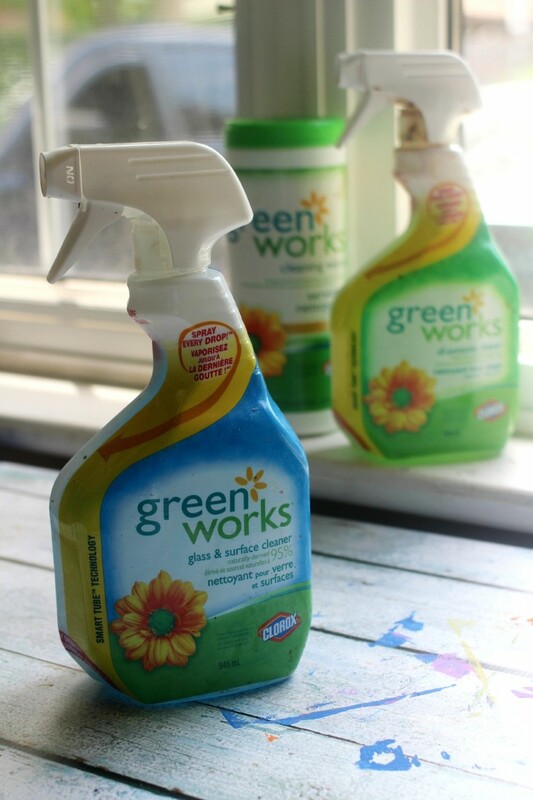 I’ve actually been using Green Works cleaning products since I first came across them long before I ever even considered blogging so I love being a Glorious Mess Maker so I can share my love for these products with you. I am always genuine in my words about various products and brands but I think sometimes you can just feel that sometimes I’m a little bit more excited about some products than others. Green Works is just one of those products that I keep going back to because they work so well and are so incredibly affordable. 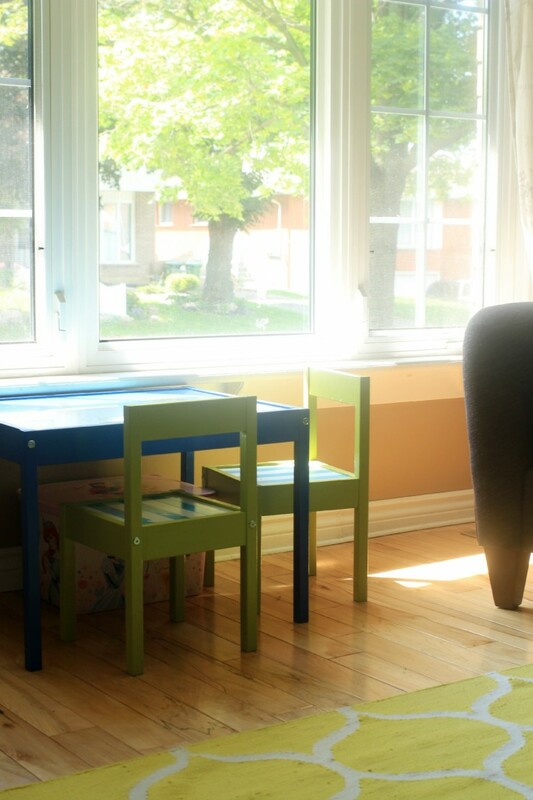 I know I can trust Green Works to help me keep on top of any summer messes – from glitter bombed rooms to little fingerprints on my windows. I just know I am covered and that helps me relax and let the kids have fun! made with plant and mineral based ingredients. Use it on counters, appliances, stainless steel, sealed granite, chrome, cook top hoods, sinks and toilets to cut through grease, grime and dirt. It packs a powerful punch for indoor and outdoor cleaning. dermatologist-tested and made with plant-based biodegradable cleaning ingredients. It removes grease and baked-on-food, so dishes will be clean and shiny without harsh chemical residue. are 100% wood-based fibers and powered by coconut based cleaners, so you can clean up those irksome spills and messes on non-wood surfaces, acrylic, fiberglass and vinyl with ease. 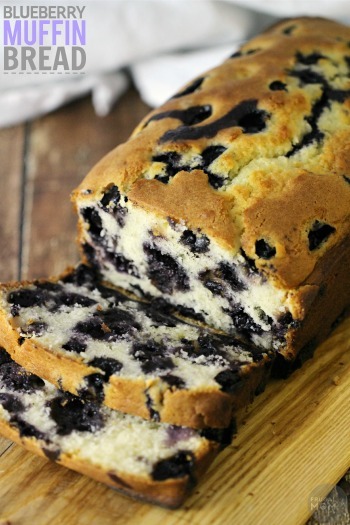 tackle stubborn food stains and cut through tough filmy residue, greasy, and baked-on or hardened foods. 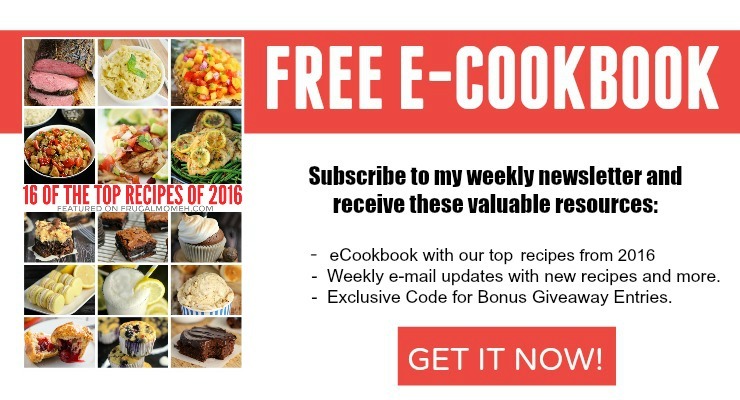 Your dishes will sparkle and shine. No worry of any harsh chemical residue being left behind. is made using naturally-derived ingredients such as essential oils and coconut based cleaners. It cuts through tough filmy residues to leave surfaces shiny and streak-free! is made using naturally-derived ingredients such as essential oils and coconut based cleaners. It powers through tough dirt, soap scum, rust and hard water stains with ease. For more information visit Green Works®! 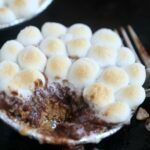 You can also join the Glorious Mess Makers Movement! If your making messes, take photos of them and post them on Facebook and Instagram! From June 8th to July 31th all participants using the hashtag #gloriousmesses , you can have the chance to be featured on the Green Works® website! All great ideas! Looks like Keira had lots of fun! 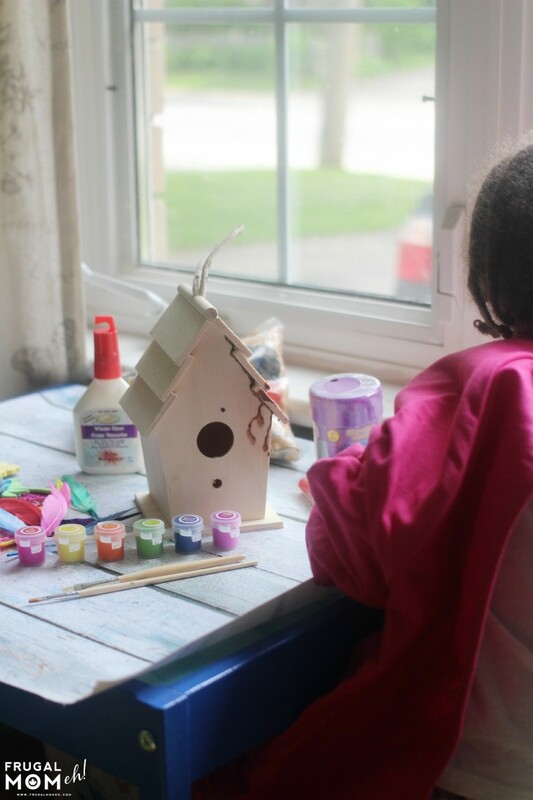 Keira has such a cute smile,looks like she had a blast doing the Bird house such a neat idea.Think I will pick up a few for the grandkids to paint. Fun ideas! 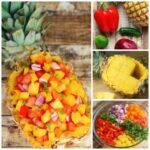 I am always looking for new ways to keep my boys busy over the summer. 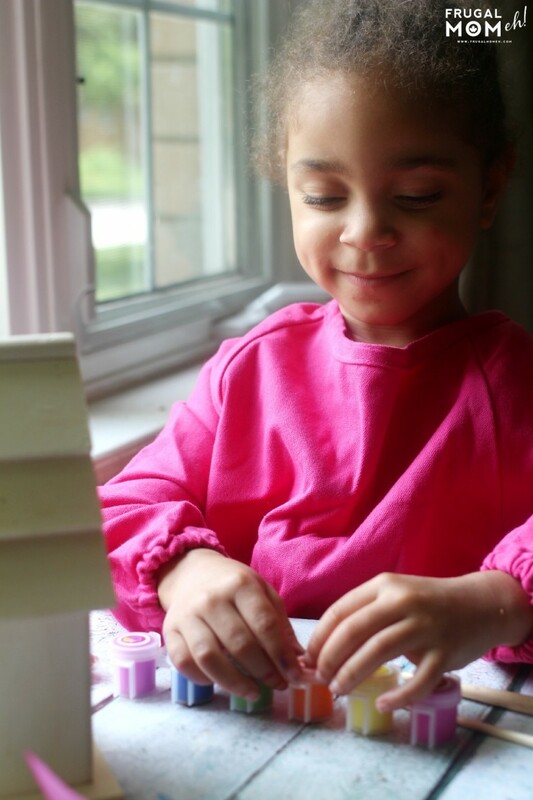 Crafting is one of our Grandkids favorite ways to pass time. I like it because it keeps them busy and out of trouble. Great Birdhouse you did. That pretty little birdhouse will be such a welcome gift to the birds. It’s so cheery, and the kite is too! Those are great summer activities for kids. My kids would really enjoy making that bird house. These all sound like great summer activities for the kiddos. I know I’ll be bookmarking this page for next week. 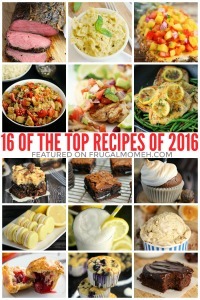 all f these sound like great will try the ice pops tomorrow Yummy! I didn’t know Dollarama sold birdhouses. That would be a lot of fun for a toddler or young child to decorate! You have one talented little girl! I love the kite! 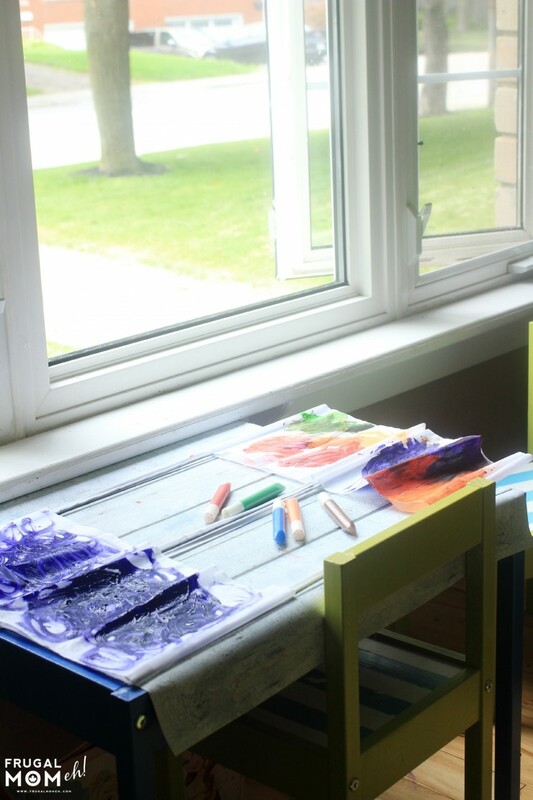 WE use Green Works for those messy clean ups in our home too! 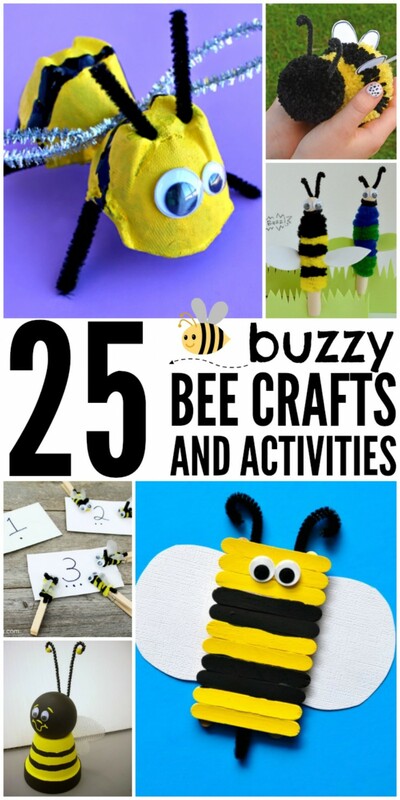 These are some great activities for kids. I think mine are still a little too young to do these but next year these will be lifesavers, I am sure. Thanks. My littlest one is a year old and I got her busy with putting the stickers on the birdhouse (although most ended up on the back of her hand!) 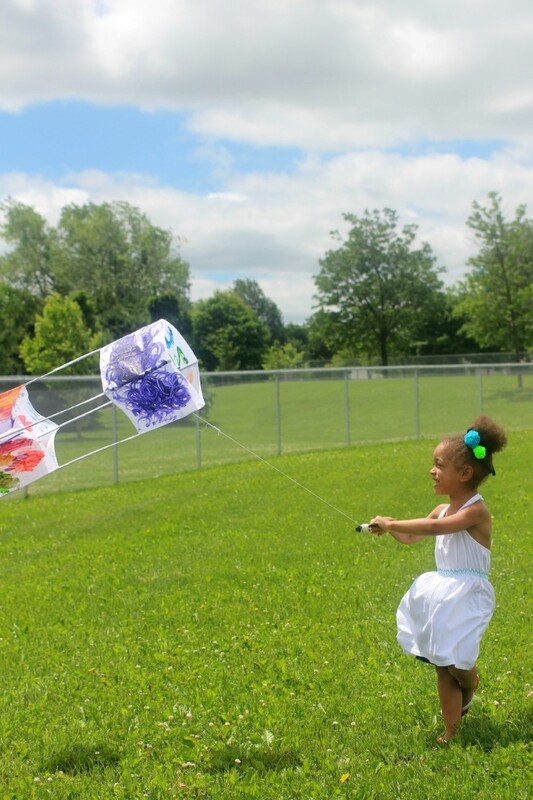 and when we flew the kite she was busy chasing after it while my 3 year old flew the kite. Younger than 1 might be a challenge but I think 1 and up is very do-able if you get creative with how you get them involved! Those Popsicles look so refreshing and delicious. 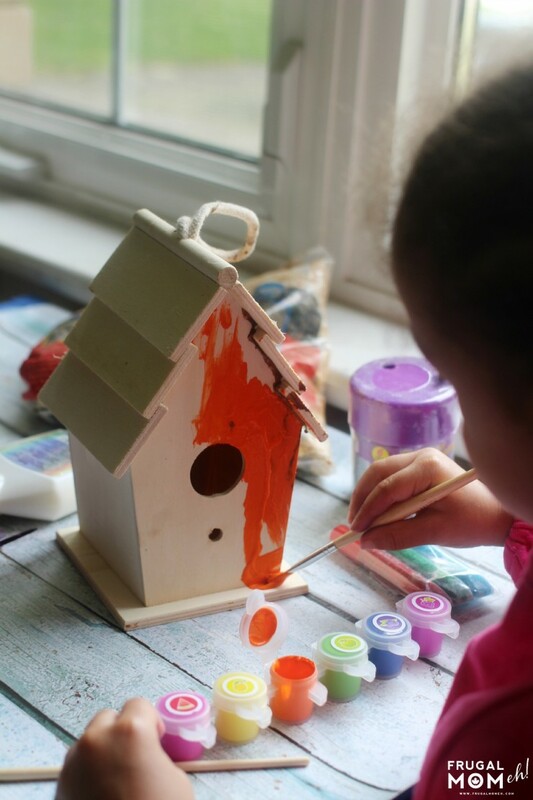 I used to paint bird houses with my kids when they were little. 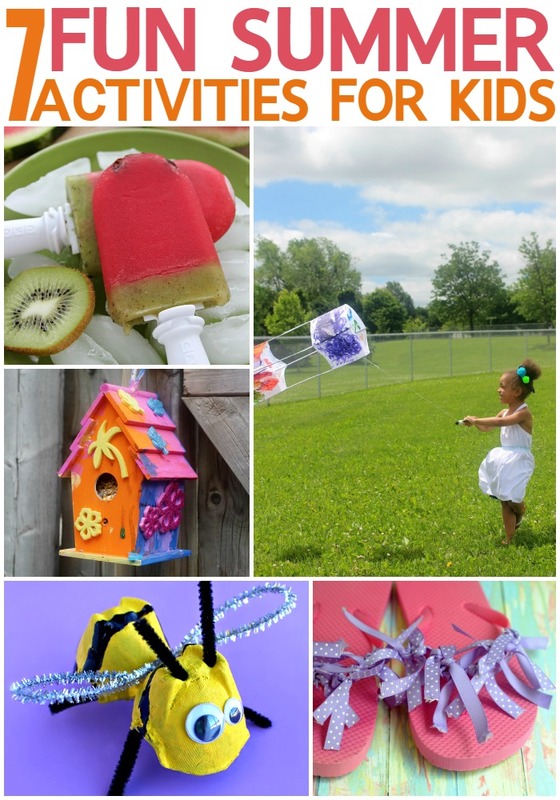 I love the birdhouse idea and of course flying a kite that you built has got to be fun!! 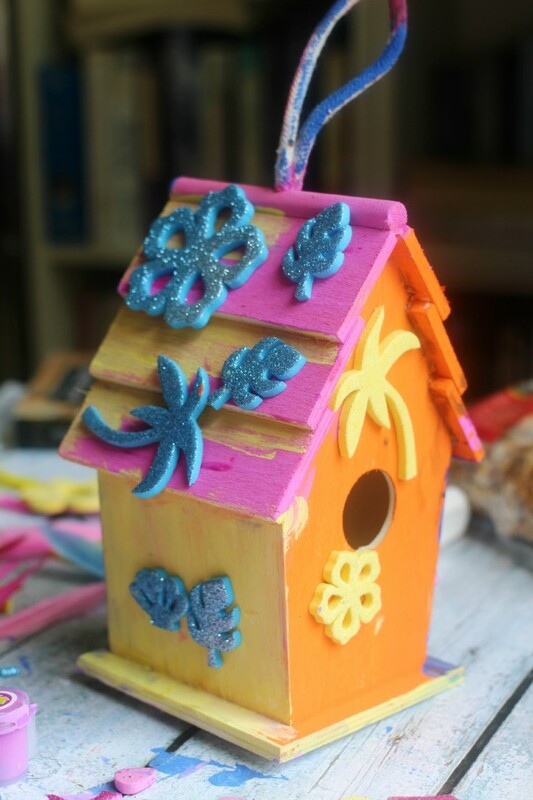 Never thought about doing a birdhouse……inspiring, thank you!